An insurance investigator (Guy Pearce) loses his short-term memory when he sustains a head injury during his wife's murder. He can now remember things only through notes, photographs, or writing them on his body. As he tries to track down his wife's killer despite his handicap, the movie's story moves backward in time to retrace his steps with him. 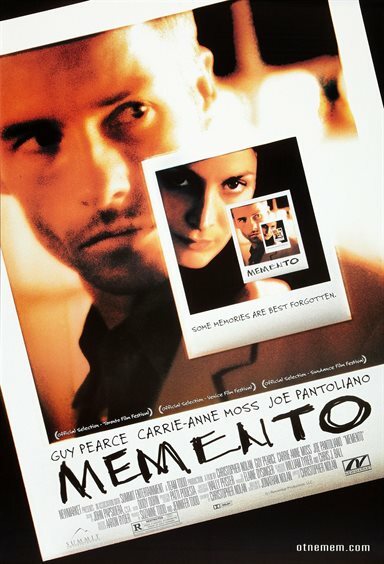 Download Memento in Digital HD from the iTunes store. Memento images are © Summit Entertainment. All Rights Reserved.